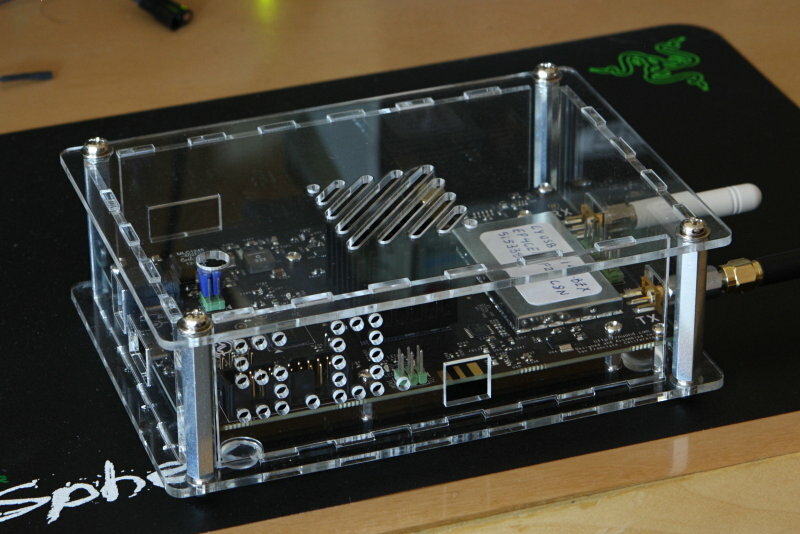 I made an enclosure for my bladeRF board from laser-cut acrylic (also known as “Perspex”). This is the first time I experimented with custom laser cutting. The laser cutting service is provided by SeeedStudio. I’m very pleased with the result, see photos below. The acrylic used is 2.55 mm thick. The PCB is mounted to the bottom plate using eight M2.5 hex spacers. The top plate and the bottom plate are held together by four M4 hex posts. 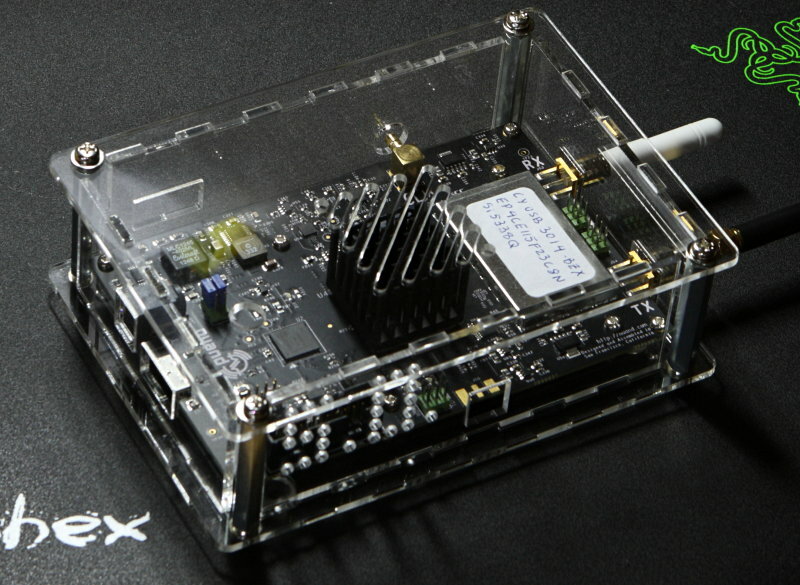 Laser-cut acrylic is good for making a prototype enclosure. It is quick and easy to design. It requires no effort in producing them. It also has a nice distinctive look. This entry was posted in Electronics and tagged bladeRF, Electronics on January 11, 2014 by stephen.